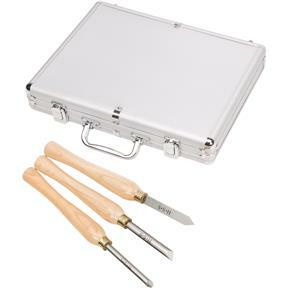 Lathe Chisel Set, 3 pc. 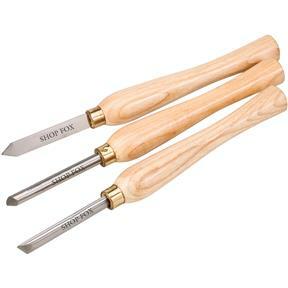 Shop Fox - Lathe Chisel Set, 3 pc. This 3-pc. Lathe Chisel Set will take care of most of your spindle turning operation needs. 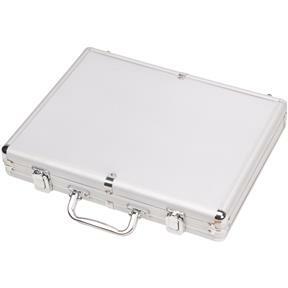 You get a 1/8" Parting Tool, 1/2" Skew Chisel, and 5/16" Spindle Gouge in a highly-protective aluminum case. HSS blades and ash handles will last a lifetime! Chisels measure 11-5/8" overall with 7-7/8" long handles.